Forget everything you thought you knew about how to motivate people--at work, at school, at home. It's wrong. 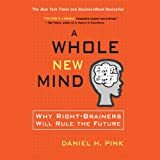 As Daniel H. Pink explains in his new and paradigm-shattering book, the secret to high performance and satisfaction in today's world is the deeply human need to direct our own lives, to learn and create new things, and to do better by ourselves and our world. Drawing on four decades of scientific research on human motivation, Pink exposes the mismatch between what science knows and what business does - and how that affects every aspect of our lives. He demonstrates that while the old-fashioned carrot-and-stick approach worked successfully in the 20th century, it's precisely the wrong way to motivate people for today's challenges. 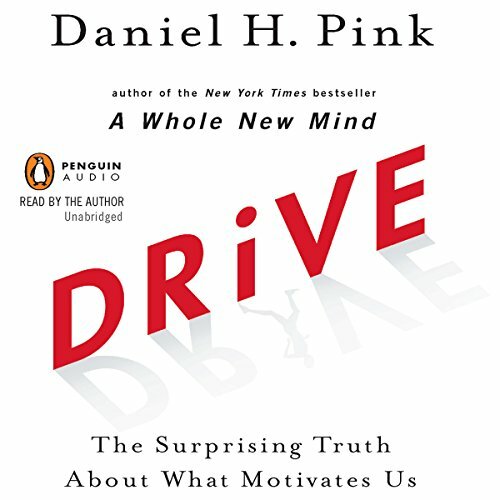 In Drive, he reveals the three elements of true motivation: Autonomy - the desire to direct our own lives Mastery - the urge to get better and better at something that matters Purpose- the yearning to do what we do in the service of something larger than ourselves Along the way, he takes us to companies that are enlisting new approaches to motivation and introduces us to the scientists and entrepreneurs who are pointing a bold way forward. Drive is bursting with big ideas-- the rare book that will change how you think and transform how you live.